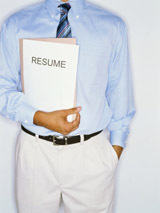 Develop a strong resume using three tips of advice. When recruiters and hiring agents evaluate a potential candidate, they’re primarily searching for three to four defining elements. The appeal of these elements is the driver behind who gets selected for interviews, and ultimately, who gets a job offer. Therefore, the main responsibility of your resume isn’t being original, but communicating these three to four defining elements in a variety of ways. Many Hospitality job seekers make the mistake of developing their work history before tackling the opening paragraph of the resume. Going in the opposite direction is a much more effective approach, as it will enable you to filter your work history through the three to four defining attributes you’ve identified. When describing responsibilities for the jobs you’ve held, always highlight those related to your defining attributes first. Also, be sure to create a “Key Accomplishments” or similar section for recent jobs that highlights concrete successes related to them. Never lose sight of the focus of these edits, which is communicating a particular set of skills that will set you apart from other professionals.